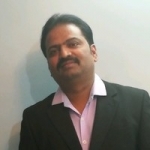 Yeswanth Kumar from Bangalore, B.E. - B.Tech Graduate. DELIVERY MANAGEMENT .. BUSINESS / DIGITAL T.. STAKEHOLDER ENGAGEME.. MICROSOFT TECHNOLOGI..
are one of expert skill area's of Yeswanth Kumar . Yeswanth Kumar is working in IT Software industry.